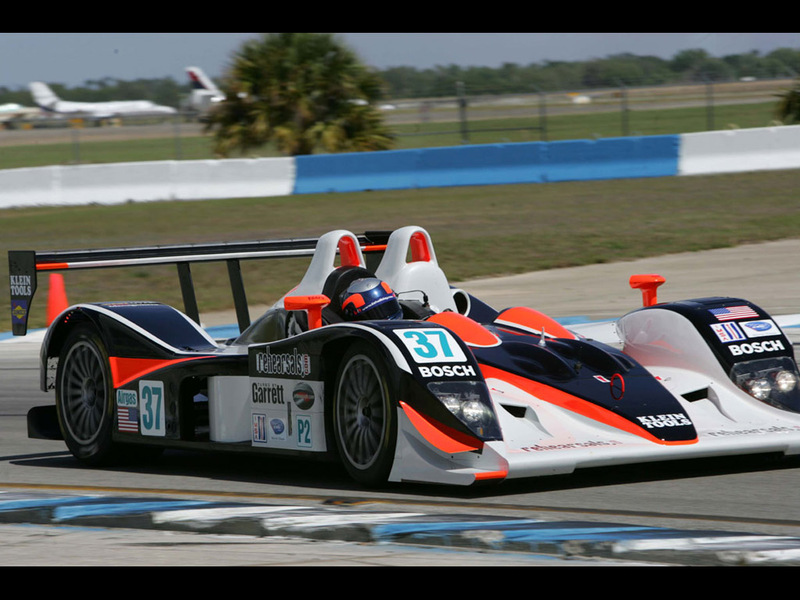 During its inaugural year, the Lola B05/40 quickly rose to the top of the LMP2 class and won championships in both the American LeMans Series (ALMS) and LeMans Endurance Series (LMES). It was the first Lola to be built to for the 2006 ACO technical regulations and eligible to race in the ALMS, LMES, as well as the famed 24 Hours of LeMans. Designed to accept several different engines, the B05/40 is sure to become a staple in the LMP2 class for years to come. In the American LeMans Series, Intersport Racing fielded an AER powered B05/40 achieving five class victories on their way to winning the LMP2 championship as well as the LMP2 driver’s championship for Clint Field. Another B05/40 run by British outfit RML entered a V8 Judd powered Lola in the 2005 LMES and similar had similar results.